Natasimha Balakrishna is notorious for attacking whoever irritates him. Though many times his attacking acts went viral, his supporters claimed that his fans love him slapping them. Balakrishna too never tried to mend his ways and behaved as though it is his display of macho power in real life. Balakrishna couple of days back attacked a journalist and threatened to kill him using obscene words. He attacked them for recording his acts in a video, saying "Madarch***, rascal, maa bathukulu mee chethullo vunnayiraa? Nariki pogulu pedatha. Pranalu theesthanu. Bambulu veyyadam kooda thelusu naaku. Kaththi thippadam kooda thelusu." 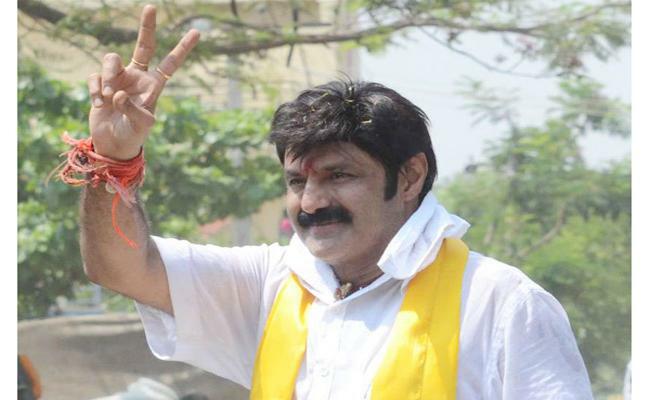 Balakrishna who never used to apologize for his acts, this time was forced to apologize due to upcoming elections and his brother in law, AP CM Chandra Babu Naidu forced him to do so, as he does not want any negative effect on his poll prospects. Even before this has died down, shocking reports are coming that Balakrishna attacked own party worker. TDP worker Ravikumar requested Balakrishna to release water for Siripuram lake in Hindupur constituency. This request made Balakrishna furious and he attacked Ravikumar and ordered police to throw Ravikumar out of his vicinity.